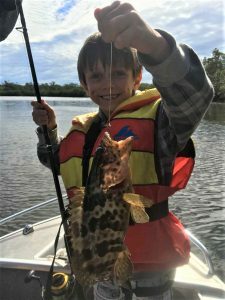 Home » Fishing » What is Tin Can Bay Fishing Club like? What is Tin Can Bay Fishing Club like? I was recently invited to a club meeting and I quickly became aware that the members were a helpful and friendly group, who enjoyed both the fishing and social activities that a club provides to its members. Members of the club have shared their fishing techniques and skills and given me local information that I had been lacking. This information has helped me to improve my fishing and I have found lots of new friends who enjoy recreational fishing just as much as I do. Occasionally, on some fishing outings, no one did very well but it was reassuring to know it was the fish off the bite and not something I had done wrong. Club trips are planned months ahead and give all members opportunities to visit areas such as Burrum Heads, Toogoom, River Heads, Hervey Bay, Rainbow Beach, Borumba and Boondooma Dams. Our members enjoy a range of activities and have established good friendships with the members of all these clubs when we visit these locations. The club has local fishing competitions each month and an annual inter-club fishing competition, during which all the clubs in our region participate. Club juniors are encouraged to participate in all events. The club also organise deep sea fishing charters for members in the waters east of Fraser Island. The TCB Fishing Club’s objectives include teaching our juniors how to fish and to have fun and enjoy recreational fishing. We hold two Sunfish Junior Fishing Days each year and accommodate up to 25 juniors between 7-15 years of age at each of these events. These are free and at no cost to the juniors and they are taught how to tie knots, rig a rod, casting and baiting and then fishing the beach areas. In addition to this, they are given a new rod and reel, a tackle box, and a certificate for attending, and free morning tea and a hearty BBQ lunch. Registration is essential as places are limited. Coast Guard – Tin Can Bay Members hope 2016 will be your best year yet!